My favorite books are mys­ter­ies, true, but I like to read in sev­er­al gen­res. When I find a delight­ful his­toric mys­tery, I’m dou­bly thrilled. In fact, I so love his­tor­i­cal mys­ter­ies, I have to show­case three series. 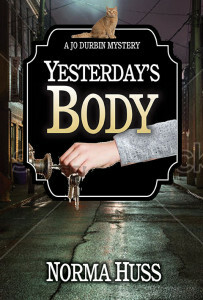 The Gaslight Mys­tery Series, writ­ten by Vic­to­ria Thomp­son, is set in turn-of-the-cen­tu­ry New York City. Each book is named for the street or area where mid­wife Sarah Brandt sus­pects some evil doing has occurred. Police Sergeant Mal­loy, is involved as well, pro­vid­ing a bit of romance. 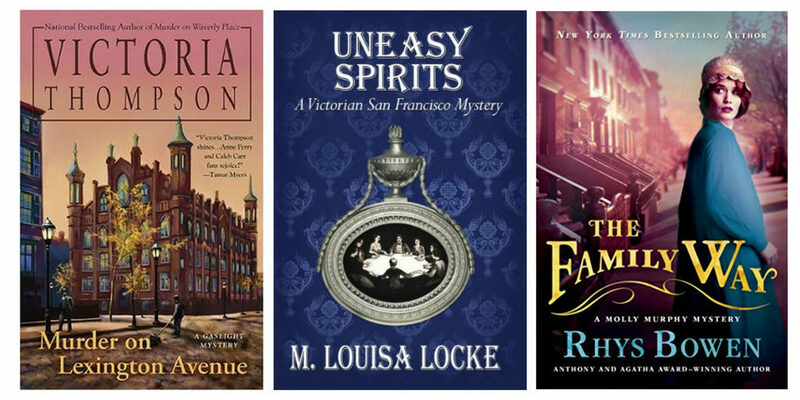 Across the coun­try, in 1800s San Fran­cis­co, M. Louisa Locke’s Vic­to­ri­an San Fran­cis­co Mys­tery series fea­ture Annie Fuller, a board­ing­house own­er and clair­voy­ant, and Nate Daw­son, a San Fran­cis­co lawyer. Togeth­er they inves­ti­gate mur­ders and oth­er crimes. Back in turn-of-the-cen­tu­ry New York, the Mol­ly Mur­phy mys­ter­ies fea­ture an Irish immi­grant. This series by Rhys Bowen begins with Mol­ly bare­ly escap­ing Ire­land, and by the sec­ond book end­ing up run­ning a detec­tive agency (and solv­ing the unex­pect­ed death of its for­mer own­er). She, too, meets an offi­cer, NYPD police cap­tain Daniel Sul­li­van. Come to think of it, these series hit three gen­res: mys­tery, his­to­ry, and romance. In any event, they pro­vide me with hours of intrigue, love­ly prose, and per­plex­ing puz­zles. When I think of all the vari­ety of mys­tery nov­els, I have to begin with Agatha Christie and her ama­teur sleuth, Miss Marple. 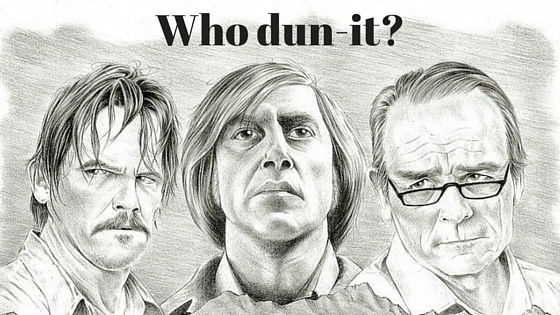 I read quite a few of those, but I nev­er fig­ured out “who dun it” before the end. And that’s only one rea­son why I love those books. Anoth­er is the wide vari­ety of writ­ers she spawned. But I digress—I’m talk­ing Dame Christie here. And, although I think of her as the author of mys­ter­ies involv­ing that nosy lady Miss Marple, her first detec­tive was Her­cule Poirot. She wrote many more books about him, but after a few years, she thought him “insuf­fer­able.” How­ev­er, she knew her read­ers loved him, so she wrote more. 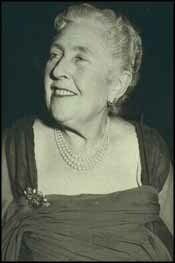 Although Agatha Christie tired of Poirot, she nev­er tired of Miss Marple who she’d pat­terned after “the sort of old lady who would have been rather like some of my step grandmother’s cronies – old ladies whom I have met in so many vil­lages where I have gone to stay as a girl.” Def­i­nite­ly, her read­ers nev­er tire of Miss Marple of St. Mary Mead. 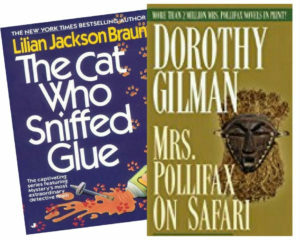 What is your favorite Agatha Christie mys­tery? Did you know Dame Christie has a Face­book page? She also has an author page on Mystery.net. That’s where I found this pic­ture of her. 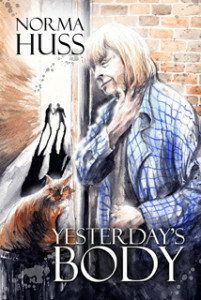 I have a new cov­er for my first book, Yesterday’s Body. Inside the book, my ama­teur sleuth is just the same. On the cov­er, she’s changed. The first cov­er was done by the small pub­lish­er, Wings ePress. Then, after my con­tract with them was up, I self-pub­lished with a cov­er by my daugh­ter, Don­na Hedricks. Now, since I’m about to pub­lish a sequel, I want­ed them to match. So… a new cov­er, by Karen Phillips. But let’s face it. Jo’s image has changed. Of course, I must admit, there’s not much of Jo on the third cov­er. But they all have the yel­low cat. Those who attend Mal­ice Domes­tic this year are in for a dilem­ma. Which of these excel­lent sto­ries will they vote for? What idea sparked the sto­ry? Find that answer on the Wicked Cozy Author blog, Best Short Agatha Nom­i­nees on Ideas. The Writ­ers Who Kill blog asked each writer oth­er ques­tions. How many char­ac­ters? How should they be devel­oped? What comes first, sto­ry or theme? Their post is: An Inter­view with the 2014 Agatha Best Short Sto­ry Nom­i­nee Authors. They also have links to each sto­ry. Wish I were going to Mal­ice Domes­tic, except, then I’d have to decide which sto­ry was best. Quite an impos­si­bil­i­ty. 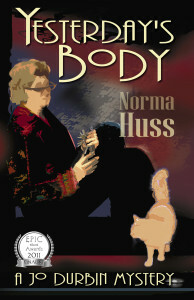 My five-star pick this week com­bines two of my loves—mystery and his­toric fic­tion. 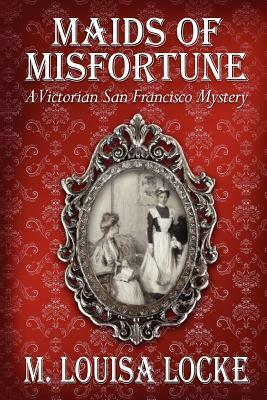 Maids of Mis­for­tune takes place in 1879 San Fran­cis­co. A young wid­ow sup­ports her­self as board­ing house own­er Annie Fuller, and, in dis­guise, as psy­chic Sibyl who gives per­son­al and finan­cial advice to clients. As a woman, she knows that no one would ever accept such advice from her, but they will accept it as com­ing from the stars. When one of her clients dies, sup­pos­ed­ly by sui­cide, she knows his finances weren’t in the sham­bles the police claim. When the police real­ize it was mur­der, they look to his fam­i­ly. Annie pos­es as a serv­ing girl for the fam­i­ly to find the truth. The author, M. Louisa Locke, seam­less­ly puts the read­er square­ly in that time and place. While we are engrossed in the plot we notice the work involved to keep up a house, the atti­tudes of every­one toward a Chi­nese cook, Annie’s belat­ed real­iza­tion of what her laun­dry girl does, and the prob­lems of trav­el and com­mu­ni­ca­tion in an ear­li­er age. Maids of Mis­for­tune is the first of a series (the ebook is now free). There are sev­er­al short sto­ries as well. The fourth full-length mys­tery in the series will be out this month. My five star pick today is a two-fer—five stars plus Agatha nom­i­nee for Best First Nov­el! It’s win­ter, the snow is pil­ing high, and Zoe Cham­bers, para­medic and deputy coro­ner in rur­al Penn­syl­va­nia is on the road with the emer­gency vehi­cle, try­ing to save lives. But some­one is mur­dered, and in a small town where every­one knows every­one else, there are a lot of secrets and con­nec­tions. I read Cir­cle of Influ­ence last May with love­ly warm sun­shine, but author Annette Dashofy made me feel every bit of icy pre­cip­i­ta­tion as I set­tled down to read one great mys­tery, with unex­pect­ed rev­e­la­tions on almost every page. 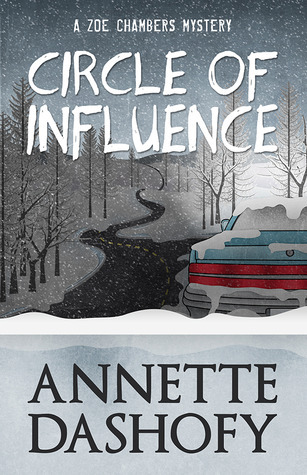 If you haven’t yet read Cir­cle of Influ­ence, snug­gle into a blan­ket before a roar­ing fire and set­tle down to read one great not-quite-cozy mys­tery with an excel­lent plot and mem­o­rable char­ac­ters. And, if you attend Mal­ice Domes­tic in May, con­sid­er vot­ing for Cir­cle of Influ­ence.